and hatred for my friendship (NIV). Words have enormous power. The tongue has the power of life and death, and those who love it will eat its fruit (Proverbs 18:21). Words of hatred can be devastating. This is especially true when those words come from those we believe to be our friends. 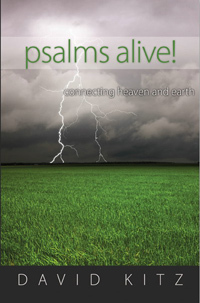 This is the situation the psalmist finds himself in. Hear the psalmist’s lament: With words of hatred they surround me; they attack me without cause. In return for my friendship they accuse me, but I am a man of prayer. They repay me evil for good, and hatred for my friendship. There is a deep sense of betrayal in the psalmist’s words. The beginning of this psalm smacks of the Judas kiss. Jesus suffered the hatred and attacks described here. But millions of others have experienced betrayal, false accusations and words of hatred. Daily, children and teens are bullied and harassed at school and online. All too often Tweets and Facebook comments are nothing more than fountains of hate. Mob mentality rules as attacks and insults pile high. All this reminds me of farm life and the behavior of chickens. Chickens are highly social creatures and early on in their young lives, these birds establish a pecking order. I’m not speaking figuratively. This really happens. The lead bird pecks first at their food and will aggressively exclude others. Those who transgress the established order will find themselves under vicious attack by the leader and other members of the flock. This means exclusion from the food source, but in the worst instances the aggressive chicks will peck the victim to death. Only human intervention can save them. It’s truly remarkable how human behavior so closely resembles the behavior of chickens. Our classrooms are full of chickens—aggressive chickens establishing their pecking order—and God help the poor child who falls out of favor! As a teacher I have often been a front-seat witness to the bullying that goes on. Intervention is essential or in the worst cases death may result. Response: Father God, today I pray for all those who are on the receiving end of personal betrayal and words of hatred. Show them your love, protection, comfort and mercy. Let compassion reign. Amen. Your Turn: Have you been a victim of bullying? How did you overcome?